Recently, I shared more information about my upcoming novel – Take Me Tomorrow – and that included fan art I received from a very talented fan during the time in which Take Me Tomorrow was posted on Wattpad.com. That’s when I received a fantastic question from Taking on a World of Words. Disclaimer: Publishing – especially self-publishing and sponsored publishing – was VERY different in 2007. It was beyond taboo. It wasn’t even heard of. The Kindle was not even around for another four years, and there were no support groups online that I could find at the time. This is a huge factor in the story I’m about to tell. November Snow was published in 2007. Three months later, I received a letter from a vanity press. (At least, that’s what I would call it.) They said they had a copy of my manuscript – which I never sent them – and they were going to publish it because I did not have the “right” to own my copyright as a minor. They had bought a copyright instead, and they were claiming they now owned it. Because of this, I had to pull my novel – that I had worked so hard on after my mother’s sudden death – off of the “shelves” immediately. It became a rather large battle, but it resulted in my father owning the copyright since I was not a legal adult at the time (and that was a factor at the time.) Even then, I was emotionally crushed. I didn’t want to release it again. I didn’t want to share it. I was simply afraid it would happen all over again. So I only sold copies to people I ran into in person, and I told myself I was done with publishing. Of course, even though I was done with publishing, I wasn’t done with writing. I spent the next few years only writing for myself (and a few trusted readers who were interested in my work.) By the time I graduated from Blue Valley High School in 2009, I was more focused on college than I was on getting published. I don’t believe I was even interested in getting published ever again. I just wanted to write. So I went to the University of Kansas to study psychology. During my freshman year, I switched to an English major because I found myself more and more drawn to my original love of language. This is around the same time I heard about Wattpad. I was in my first (and it turned out to be my only) fiction-writing class, and I befriended a girl who had recently joined and enjoyed it for finding “writer-friends” purpose only. She didn’t share her work. She just networked, and she sent me an email with the link. Hesitantly, I joined as shanashlee23. I networked with a few great writers, read some fantastic stories, and I got to the point where I wanted to share something – just SOMETHING – and see what happened. Plus, it made it easier to meet fellow readers and writers if I had something on my profile. At the time, I was writing Take Me Tomorrow. (I will explain my inspiration for TMT in another post.) But I didn’t think too much of it. I just uploaded the first three chapters. And the next morning – I had readers. I had votes. I had comments. I was blown away. I even remember seeing the little orange rankings explaining how high up it had gotten. I wish I could remember one thing though. A girl had commented, encouraging me to submit my manuscript to a publisher, because she loved how refreshing the story’s concept was. Her little comment seriously changed my outlook on things. I took a step back, and I evaluated why I had given up. Realizing that I had allowed myself to be crushed for 3+ years was the hardest part. I couldn’t blame anyone but myself. It didn’t matter that a publisher tried to take advantage of a young writer. It didn’t matter that I fought. It mattered that I gave up. It mattered that I didn’t get back up. Even worse, I stopped sharing Take Me Tomorrow completely. I was literally afraid of praise. I thought it would pressure me into continuing into publishing that I wasn’t ready for. Don’t get me wrong. I appreciate the praise. I wish I could say it helped me believe in myself again – but only I can be in charge of my confidence, and in 2010, I was anything but confident. I only wrote for myself. But I will say this – my fiction-writing class left a sour taste in my mouth. It truly disappointed me. So much so that I decided to focus on another genre: poetry. I enrolled in Megan Kaminski’s Poetry Writing I class, and I fell in love. (Not that I wasn’t nervous. I was ridiculously nervous, and I cringe anytime I think of the very first poem I turned in.) But I enjoyed it. I actually enjoyed it. And I enjoyed sharing my poems with other writers for the first time in a long time, so I continued to study poetry instead of fiction, and I studied poetry into 2012. It was the first semester of my senior year. I was feeling better about poetry and more confident in my writing, but – even better- I got to have a class with my roommate – Kristine Andersen – for the first time in our three years of college, and my professor was accepting submissions for a poetry collection to be published. I was nervous. I didn’t submit. Not right away anyway. Unfortunately, if you’ve been with me since 2012, then you know what happened: my roommate – Kristine Andersen – passed away. I don’t know how to explain to everyone how crushing it can be to return to a class you share with someone – someone you saw every day – someone you lived with for years – to hear roll call and her name to not be listed anymore. Moments like that aren’t something even a seasoned writer can explain fully. Moments like that are wordless. But that’s when a surprise came over me. My fellow classmates had pushed all the desks into a circle. This was something we did at the beginning of every class. But there was something different about that day. They put Kristine’s chair in the circle. Even though she had been gone for over two weeks and I had just returned after taking a break from classes, they put her chair in our circle. I don’t think I remember what we discussed at all that day. (My apologies to the wonderfully talented Ms. Kaminski. I was not in a good mind state for a long time after Kristine passed.) I just stared at her chair. I could not look away from her desk. I just watched it…But I did get a flyer from Kaminski that day. She was reminding everyone of the poetry collection again. Almost uncontrollably, I believed that if I couldn’t get published for myself, I wanted to be able to do it for Kristine. I told myself it was the least I could do. I told myself it was the best thing I could do. In fact, I still had a manuscript of Kristine’s in my folder from the month before. She wanted me to read it and tell her how she could improve it. Now that she was gone, all I could think about was how she wrote and how we discussed our writings together. So I submitted on the basis that Kristine would’ve submitted – fearlessly and wonderfully. 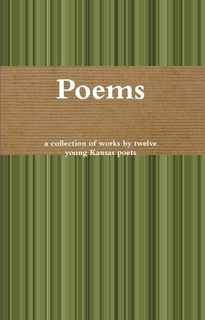 That December, Poems: a collection of works by twelve young Kansas poets was published. I went to the event to read my poems, never knowing what I would see. I held the collection in my hands, and I opened it to the first page. That’s when I saw the little words: Dedicated to Kristine Andersen. Again, I can’t explain that emotion. I can’t, and I won’t try to pretend that I can. 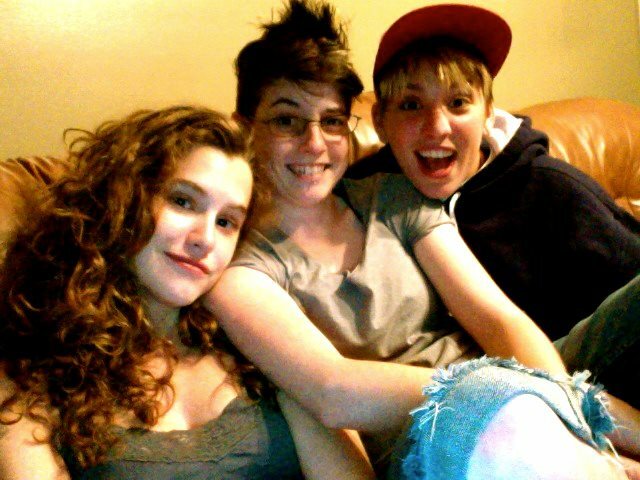 I am not capable of explaining my emotions about this yet. Maybe in the future. But not yet. Maybe never. It had only been two months since we lost her, and – here I was – trying to keep it together to read four little poems I wrote. I began submitting Take Me Tomorrow to publishers, but I knew it would be a long, tedious process, so I decided I was going to self-publish an older novel of mine in the meantime. Yes. Believe it or not, this “older” novel is Minutes Before Sunset. Originally, I really didn’t want this novel to be the one that went under contract, but – alas – the world has a funny way of working out. AEC Stellar Publishing, Inc. came across my website through Twitter. Yes, Twitter. And they asked me if I had anyone to represent me. I didn’t, and they were interested. Within a few months, I was signed with them, and I couldn’t be happier. I even dedicated Minutes Before Sunset to Kristine Andersen and Megan Paustian, my other roommate at the time. In a way, publishing Take Me Tomorrow is a moment I’ve been searching for since 2012. This publication feels like my career is coming in a full circle. I feel like it will help me grow into my next stage of writing. I feel like this is my next stage. Yes, it began on insecurities. Yes, it was shared on Wattpad. Yes, it was taken down. Yes, I made mistakes, even mistakes that still twist my heart into guilty pieces. Yes, I fell down over and over and over again. But – no – I didn’t stay down. This time was different. I got back up, and I’m going to keep on standing. P.S. If you’re gut is telling you to share your story on Wattpad, follow that instinct. I understand the concerns fellow writers have had about their stories and concepts being stolen, but that happens when you’re published, too. Just take the proper precautions before sharing your story with the world. I am back on Wattpad, and I truly believe it’s a fantastic community of encouragement and passion. Please join me on there by clicking here. Reblogged this on Write Ignite. What an amazing post! Your story is truly inspirational. I started on Wattpad as well, but soon I abandoned uploading there. I might restart again. This was a great example of perseverance and hope. Good luck and wish you much more success. I’m glad you enjoyed this post. I only upload a few teaser chapters onto Wattpad now, but I plan on sharing more of my poetry over there when I find more time. Thank you for your encouragement. Wow. That’s an amazing and inspirational story. I’ve been curious about Wattpad because I put excerpts on there for my first two books. Never got much out of it. From your personal experience, do you think it’s better for some genres than others? I hear a lot how it’s more for romance and paranormal stuff. Well, I think it definitely depends on how much time you can devote to the website. I think Wattpad is mainly a great website for writers who are looking for fellow writers to network with. It’s definitely a great place for fan-fiction, which seems to be a new thing since I don’t remember a lot of fan-fiction when I was originally on there in 2010 – but I’m not sure about other genres now. They do have a genre tab, which I think can help writers find one another. Wow! That was a very inspiring account you posted. I must say that I am impressed that you have accomplished and experienced so much for someone so young. It is so disgusting that someone would take advantage of you like that, when you were a child especially. It is scary, but worse it can also happen when you are published. I’m glad it all worked out for you and that you understand and grew from your journey. This is a very inspirational post, I will reblog it. Thank you for reading, commenting, and sharing this post. It was very disheartening at the time. I often warn writers who are minors of things like this so they don’t have to go through what I did, but – at the same time – there seems to be more support than ever before, so the problems are often stopped before they even begin. When I returned to publishing, I didn’t even know how supportive everyone had become, so I am glad I grew from my experiences enough to return. This post is a post you should read if you intend to publish or maybe you are nervous and reconsidering publishing. This was a great story. I like the fact that you came full circle. Enjoy your time off. Thank you for reading and commenting 😀 I am glad it’s coming full circle, too. The guest bloggers are fantastic! What an inspiring post! I think writers go thru these ups and downs quite a bit. I’m sorry for your losses, but so glad to know they didn’t beat you. And these things that tackle our spirits tend to fuel our writing as well. Thank you for posting this. I’m sorry for the loss of your friend, but I’m glad the loss eventually propelled you forward rather than held you back. Similarly, my best friend from high school, after whom I’d named one of my main characters, passed away and that loss made me finish writing my story, as I wanted to get it all down for her. I’ve since self-published two of the four books in the series and both are partially dedicated to her. I hope both of our friends are proud of us. Good luck with everything! Thank you for reading 😀 I have to admit that I was very nervous about this post, because – when I first started writing it – I didn’t realize how personal it would get, but I am glad I shared it. Thank you for sharing your story about your friend. I think it helps show other writers and artists that we can overcome difficult times in art and in life. I hope our friends are proud of us, too. Best of luck with your work. Thank you so much for sharing that story with us, Shannon! I am nervous about posting a story I’m working on on Wattpad. I’m afraid that I’ll lose the rights to it if I ever decide to publish. But at the same time I think the potential encouragement could help me get other projects off of the ground. I’m considering joining again. Thank you for your words. Thank you for inspiring this post! If you get the rights before you post, you will always have the rights. You could always post just little bits – and if you make writer friends that you trust, you can send them the whole manuscript? Just a thought. Is getting the rights filing a copyright? I’d be really interested in joining the community more fully. I have an account but haven’t posted anything yet. I believe so. On Wattpad, they even have an option when uploaded to mark your work as copy written. I’m pretty sure everyone says everything is copy written – whether it is or not – but I believe it only costs $25 to copyright your work, and I think it’s worth it if you’re afraid someone will steal it. I’m glad everything worked out for you. It’s terrible that you had to fight to get your novel back. I had my novel stolen off of another site and sold on Amazon, so I’m not comfortable sharing anything I care about online. I am so sorry to hear about your manuscript being stolen! When I hear of that happening to a writer, I am just so sad because we all know how much work went into it only for another to take it. I hope you are able to share your work in the future without the worry of stealing. Thank you so much for sharing your story, Shannon. It really touched my heart and I’m so sorry for your loss. Getting involved in fan fiction websites (even before the time of Wattpad!) was what got me writing in the first place too and I’m so thankful for that opportunity to test my wings with readers and find a positive community to share my work with. I don’t know how far I would have gone with my writing if I hadn’t taken that route and even now, I still love having stories on Wattpad. I don’t know at what point I’ll feel compelled to stop sharing them there but at this point, I just love the chance to let my hair down and write without worrying about it being perfect. This post made my day. Thank you again for sharing it! Thank you for reading and commenting! I am glad you shared your story and how Wattpad has helped you and shaped you as a writer. I know it gets a bad rep, so I enjoy sharing the pros of the community since it has also helped me so much. Well I, for one, am so glad that you never gave up on getting your work published again. You’re a fantastic writer and despite facing so much adversity at such a young age, you have taken those knocks and used them to a positive end. Reblogged this on Phoenix Raines. Hi Shannon I am following all your blogs regularly as they are really inspiring and reblog onto Phoenix Rainez. I follow you on wattpad too and thats where I first met you. You gave me encouraging comments for my poetry. Thanks to your inspiring and encouraging blogs I am self publishing my first novel in October. Congratulations on all your success, may your future be filled with many more exciting novels you write and publish. Congrats on your book! That is wonderful. Thank you for your kind message. I will be sure to check out your future work. I am really happy for you.